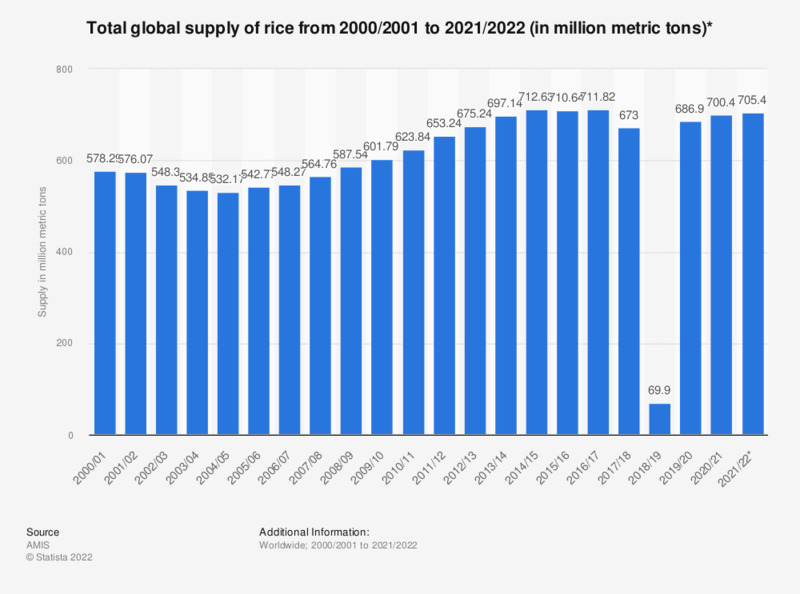 This statistic illustrates the total supply of rice worldwide from 2000/2001 to 2018/2019, measured in million metric tons of milled equivalent. In 2018/2019, total global supply of rice amounted to about 735.54 million metric tons. * Rice, milled equivalent. Supply equals production plus opening stocks.